A major centerpiece of discussion at Epic's booth at HIMSS19 in Orlando next week will be the continuing evolution of the One Virtual System Worldwide initiative it launched just over a year ago – functionality that enables Epic customers to be be able to do more with their clinical data within and across different healthcare providers. As Epic CEO Judy Faulkner explained at the company's annual User's Group Meeting this past summer, the technology is able to leverage the sheer size of Epic's customer base to enable more holistic data sharing for more complete narrative views of patients: "You've eliminated the silos from within your organization," she said. "Now it's time to eliminate the silos from outside." But that's not all, of course. In Orlando, the vendor will be showcasing its innovations in a variety of areas, said Sean Bina, Epic's vice president of patient experience and access: "voice assistants, social care, population health, and many other areas – especially new features for patients," he said. Epic is focused too on helping its clients navigate some of the seismic changes and new imperatives affecting healthcare in 2019, said Bina, such as improving the patient experience, enabling ease of use for clinicians who interact with its technology each day and helping achieve "healthy operating margins for health systems." The company is working to help providers take a more expansive view of population health, he said including "social care, connecting health outside the traditional clinic and hospital walls – with insurers, dental, retail clinics, labs – and much more." Epic touted the fact that invests 40 percent of its operating expenses in R&D. So what are some innovations it's pursuing right now? Bina sees an exciting future set to be transformed by leading-edge technologies, and HIMSS19 will offer the chance to explore these advances in-depth. More and more, he said, healthcare is moving toward an state where "artificial intelligence and machine learning are increasingly embedded directly in workflows, and virtual assistants combine speech recognition with natural language processing to help clinicians come up-to-speed on patients and easily document notes and follow-up," he said. And the era of consumerism and mobile device ubiquity is also transforming the way Epic prioritizes its efforts, said Bina, as its technology is put to work "incorporating price transparency for patients and cost awareness for clinicians," as well as "identifying patients at risk and mobilizing resources to help them." For instance, Epic's MyChart portal is "enhancing the patient experience by providing three dimensions of contextual awareness: 1) Who the patient is and how they want to be treated, 2) Where the patient is and the tools they need in that venue of care, and 3) What patients need given their clinical situation," he explained. The big-picture goal of all this, said Bina, is "helping patients find the right path through the healthcare system – regardless of whether they prefer an e-visit, video visit or a visit with the doctor." 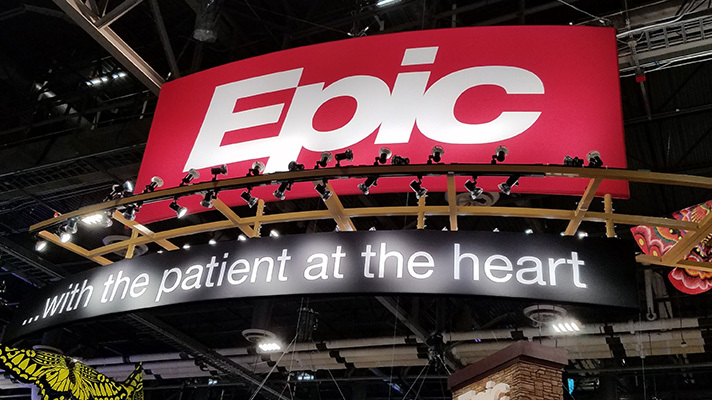 Epic will be in booth 2159 at HIMSS19.